“It’s a little neighborhood, like one you would find in New York, like a little Brooklyn,” Randy Kelly, co-owner of XYZ Tavern says of the funky Detroit Shoreway community. Located about two miles west of downtown, Detroit Shoreway includes 40 blocks that stretch east to west and south of Lake Erie to Interstate 90. Although Detroit Shoreway has developed more slowly than neighboring Tremont and Ohio City, it's more of a microcosm that goes beyond a collection of destination restaurants to include art, theatre, music and shopping. 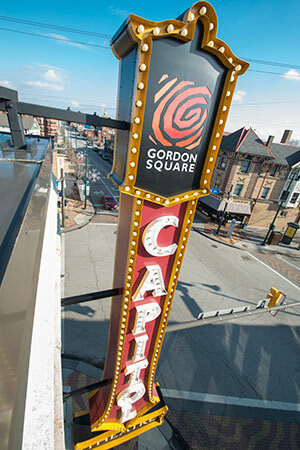 Just three miles from Cleveland’s venerable Playhouse Square, Detroit Shoreway has established itself as the city’s own Off-Broadway, with three alternative venues: Cleveland Public Theatre (CPT), Near West Theatre and Blank Canvas Theatre. “I love the idea of this being Cleveland’s off-Broadway,” says Near West Theatre’s Cory Markowitz. "I think it’s very fitting considering the types of theater that are produced here." Founded in the mid-80s, CPT has long been a neighborhood anchor and destination for those interested in alternative offerings featuring new and adventurous work by emerging artists. 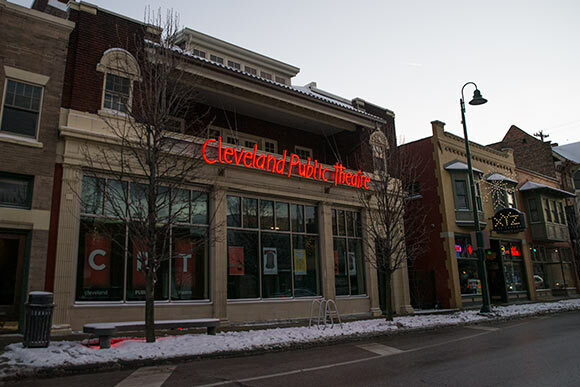 It also hosts the city's premier Latin American Theatre ensemble, Teatro Publico de Cleveland. Blank Canvas, housed in the 78th Street Studios, boasts quality live performances and affordable tickets. Shows include American classics such as Cabaret and offbeat musicals, drama and comedies. “Detroit Shoreway is really a full arts corridor,” says Austin Boxler, director of community involvement for the Detroit Shoreway Community Development Organization as he ticks off the area's art destinations including the Capitol Theatre and 78th Street Studios, both of which are renovated buildings that pay homage to their former uses. Capitol Theatre, built in 1920 and previously abandoned for two decades, is now a three-screen digital theater that serves an assortment of beer, wine and even a signature cocktail. Offerings include a mix of current studio releases, indie films and remastered classics. The 78th Street Studios, former home of American Greetings, is billed as "Ohio’s Eclectic Art Maze" and boasts 170,000 square feet that house 60 art galleries and studios, performance spaces, the offices of the country's second largest rock and roll magazine, Alternative Press, and oWOW Radio, an Internet radio station. The building and most of the galleries open to the public every third Friday from 5 to 9 p.m., when 78th becomes a dazzling artwalk and shopping bonanza with multi-media art exhibits, music, food trucks and an assortment of pop up vendors. The neighborhood's standalone galleries include the Bruno Casiano Gallery, 1point 618 Gallery and the Phyllis Seltzer Studio. And for something completely different, Superelectric Pinball Parlor on the corner of W. 65th and Detroit, is outfitted with 20 retro and vintage pinball machines that date back to the 1950’s. “Detroit Shoreway is definitely a destination for dinner and a show or art, or to connect with your inner kid,” Boxler adds. No neighborhood worth its salt is complete without food options. No worries there. Within Detroit Shoreway’s five square miles there are more than 20 locally owned restaurants, taverns and quirky eateries serving everything from hot dogs to locally sourced chicken and towering hot fudge ice sundaes. A neighborhood staple, the Happy Dog serves hot dogs and tater tots – and nothing else, save for the more than 50 creative dog toppings and 30-some tater tot dips. Try Froot Loops, Alien pickle relish and Top-secret fry sauce. Sip an ice cold Carling's Black Label or one of the 75 beers on tap with that dog and enjoy the live music that ranges from polka to Disney movie sing-alongs. Top it off just two blocks west at (heaven help us) Sweet Moses, a neighborhood soda fountain and treat shop. Newbies feeling adventurous can try to tackle the Terminal Tower sundae, with its 10 scoops of ice cream, hot fudge, warm caramel, marshmallow cream, pecans, candy sprinkles, whipped cream, cherries and the requisite pretzel on the side (whew!). It all comes in one bowl, with as many spoons as you'd like. Banter on the corner of West 74th and Detroit specializes in “beverages, sausages and poutine.” A bottle store with a small kitchen, the food offerings include house-made sausages and Quebec-style poutine, a dish composed of french fries, gravy and cheese curds - arguably Canada’s most important culinary contribution to the world. Interested in locally sourced produce and meats? Toast Wine Bar, Spice Kitchen + Bar and Local West all use local produce, products and handcrafted foods. Toast and Spice boast artisanal cocktails and Local West has full selection of beer and wine. Or impress your date at Luxe Kitchen and Lounge, with its low lights and high-end food. This mile of Detroit Avenue also offers international choices including Indian Delight, Minh-Anh Vietnamese Restaurant & Market and Rincon Criollo Puerto Rican Restaurant. There's also Frank’s Falafel on West 65th. For early risers, there's a breakfast of baked goods and the city’s best iced-coffee waiting for you at Gypsy Beans & Baking Co. For those who enjoyed the area a bit too much the night before, Latitude 41°n is serving up Hangover Pizza, and over at the Big Egg, you'll never see the bottom of your coffee cup. For those who like to keep the rubber side down and the topside covered in leather, both S. P. Leather and TBD Leather specialize in custom, handmade leather goods. Cleveland Cyclewerks manufactures groovy motorbikes and Blazing Saddle Cycle caters to the human-powered variety of two-wheeled vehicles. For the more conventional shopper, try Trunk for something for him, TurnStyle for something for her and HausFrau Record Shop for something vinyl. Then stop in and say hello to RA Washington at Guide to Kulchur, his bookstore and incubator for emerging and marginalized voices. Or head south to Lorain Avenue and cruise the Lorain Avenue Antiques District. 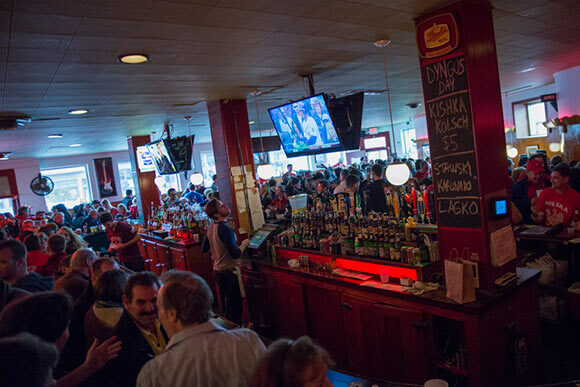 Don't leave until you've visited the tiny enclave known as the West Side's Little Italy. The dense grid bordered by West 65th, and 69th Streets, Detroit Avenue, and the lake is festooned with any number of red, white and green embellishments that nod to the Italian flag. The beating heart of this hidden gem is the Our Lady of Mount Carmel Parish School. Lastly, stroll or roll through the newly opened West 73rd Street underpass and close the day at one of the area's most treasured assets, Edgewater Beach, where you can amble alongside every Clevelander's favorite neighbor, Lake Erie, and enjoy the sunset. Read more articles by Kim Palmer. Kim Palmer is a freelance journalist living in Cleveland’s Detroit-Shoreway neighborhood. For four years she has covered breaking national interest news in Ohio for Reuters’ America’s Wire. You can follow Kim on Twitter at @kimfouroffive.